But his genius were not limited to science nor physics. He also had some good understanding for living life. 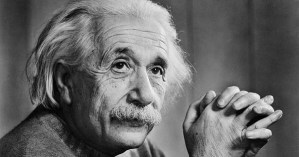 Here are 10 life lesson we can learn from a great mind. Through perseverance, the turtle reached the ark. Are you willing to persevere until you get to your intended destination? They say the entire value of the postage stamp consists in its ability to stick to something until it gets there. Be like the postage stamp; finish the race that you’ve started! My father always says you cannot ride two horses at the same time. I like to say, you can do anything, but not everything. Learn to be present where you are; give your all to whatever you’re currently doing. Are you using your imagination daily? Einstein said the imagination is more important than knowledge! Your imagination pre-plays your future. Einstein went on to say, “The true sign of intelligence is not knowledge, but imagination.” Are you exercising your “imagination muscles” daily, don’t let something as powerful as your imagination lie dormant. Never be afraid of making a mistake. A mistake is not a failure. Mistakes can make you better, smarter and faster if you utilize them properly. Discover the power of making mistakes. I’ve said this before, and I’ll say it again if you want to succeed, triple the amount of mistakes that you make. Don’t waste your time trying to be successful, spend your time creating value. If you’re valuable, then you will attract success. Discover the talents and gifts that you possess, learn how to offer those talents and gifts in a way that most benefits others. Labor to be valuable and success will chase you down.